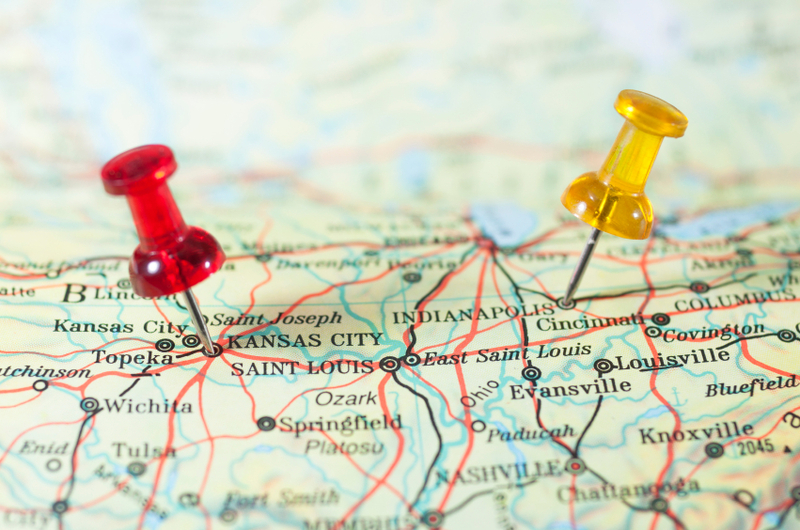 Planning on hitting the road this summer for a family road trip? You need to be more prepared then packing snacks and filling the car up with gas. Here are some of our favorite road trip safety tips that will keep you, your family and vehicle safe throughout the trip. Get A Tune-Up: A week or so before heading out on your trip head to your local garage and get a tune-up. Make sure your car is running smoothly so you don’t run into problems along the way. Have your mechanic check the tires, battery, belts, fluids and air conditioner. Emergency Kit: We are not talking chips and candy bars. Pack a emergency kit that will help you just in case your car breaks down or you get into a jam. Our suggestions would be a gallon of water, blankets, flashlight, jumper cables, flares, tools to change a tire, fully charged portable cell phone charger and a first aid kit. Protect Backseat: The worst thing is starting the road trip and having to stop within 10 minutes because your little one is playing with the windows or getting into something they shouldn’t. Before heading out make sure all safety locks are activated on the windows and doors within reach of little hands. That emergency kit goes in the trunk and anything else that could be poisonous such as washer fluid should be removed. Then look for choking hazards such as knobs that can be easily popped off and remove potential projectiles such as hard books. Drive Alert: The worse thing you could do is drive while tired. Sleepiness and driving is a dangerous combination. Most people are aware of the dangers of drinking and driving but don’t realize that drowsy driving can be just as fatal. Like alcohol, sleepiness slows reaction time, decreases awareness, impairs judgment and increases your risk of crashing. If you are on the road and seem tired ask someone else to take the wheel or pull over at the nearest rest stop to stretch or take a 20 minute cat nap. Have Back-Up: The last thing you need during your road trip is car trouble, but sometimes it doesn’t matter how well we take care of our vehicle we have unforeseen issues. 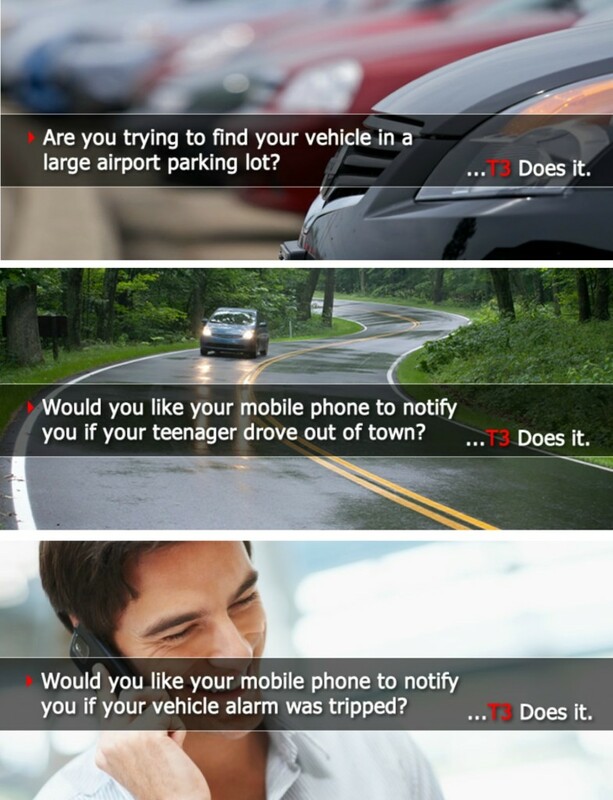 Our 911Tracker T3 Device has helped many travelers while on road trips. Because of it’s GPS capabilities loved ones or police at your final destination can track your trip and get your exact location in case of a breakdown. You can also win your very own 911Tracker by entering HERE! We hope these tips help make your road trips safer and less stressful. 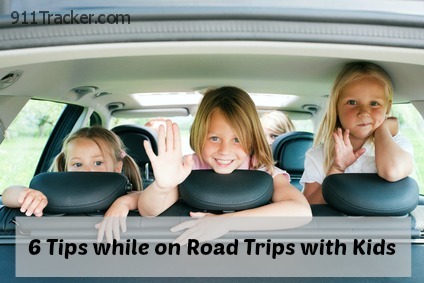 Looking to keep the kiddos busy while on the road trip? Check out these suggestions that will keep your kids happy and entertained throughout the duration of the trip. Got any road trip safety tips? We would love to hear your suggestions. This entry was posted in Car Safety and tagged Car Safety, Holiday Travel on June 9, 2015 by Deanna. The last thing you need during the busy holiday travel season is car trouble, but sometimes it doesn’t matter how well we take care of our vehicle we have unforeseen issues. Below is a story of how our 911Tracker T3 Device helped one owner and his family stay calm during traveling when their car wasn’t in the best condition. Throughout the holidays we were traveling by car 350 miles to visit family. During our drive, the car alerted that coolant was low – Yikes! We stopped at a restaurant and got a couple cups of water for the radiator and called our daughter to let her know of a problem with the car and we may have to stop again to re-fill. She said she would keep track of our location and come get us if necessary. Our car has 911Tracker T3 unit that lets her text the T3 and it texts back to her with GPS location, direction, and speed. We continued on the drive and had to stop to refill the radiator 2 more times, and arrived at her home about an hour later than expected. She checked our location every few minutes to be sure we were all right. The next morning, I took the car to the repair shop. The service manager, Dan, said that it may be just a hose or it may be the radiator. Just to keep track of progress, I sent a text to the T3 to put it in Master Mode. The T3 will send me a movement notification if they take the car on a test drive. Our car had to be in the repair shop throughout the weekend. By having a T3 Device I was able to track the progress of the repairs which made our holiday weekend less stressful for me and family. Here is timeline of the progress and how I knew that my repairs were on track. In order to check progress on the car, I sent the T3 a text requesting status. The T3 has its own backup battery so it keeps working even if the vehicle battery is still disconnected. Monday 9:45AM – The T3 send a text saying Vehicle battery disconnected. This let me know that the mechanic had removed the battery to make room for the radiator to be removed. The T3 responded with ignition off, alarm not sounding, and the voltage of the backup battery. So I knew the mechanic had not reconnected the battery yet. Monday 1:45PM – I checked status and T3 said the battery was reconnected so the mechanic was completing the radiator installation and getting ready to recharge the a/c. Monday 3:20PM – T3 status said the ignition was on and the engine running, so the mechanic was checking for leaks. Monday 3:38PM – T3 sent me a Moving notification so I knew the mechanic was taking a test drive. I double-checked the T3 location just as he pulled back into the shop. So, my daughter drove me to the shop and Dan called me to tell me the car was ready when we were just two blocks away – perfect timing. Because of the T3 Device this family was able to track the trip to make sure everyone was OK during the time the car was having difficulty. They were able to check the progress of the repairs and had a good idea of when the vehicle would be done. By having this option the family was able to continue their holiday festivities without the stress of the unknown and could plan family outings without worrying about when the car would be completed. Now that is the service we are talking about! At 911Tracker we know that EVERY MINUTE COUNTS and time is precious, especially during the holidays. Now that you’ve heard first hand from a T3 owner of how the device saved their holiday don’t you want your own? 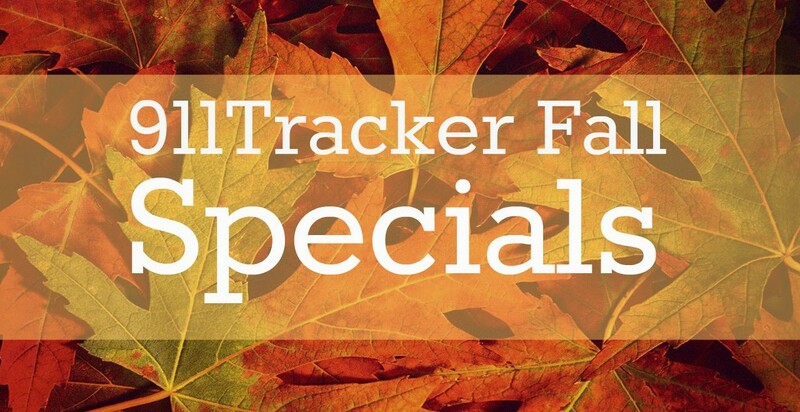 911Tracker is running a holiday special with savings of over $100 on a T3 Device. Learn more about the T3 Device and promotion. This entry was posted in Car Safety, Car Tips and tagged Car Care Tips, Car Safety, Holiday Travel on December 29, 2014 by Deanna. As the school year draws to a close we begin to think about summer vacations. At least once throughout the summer families take some sort of road trip. Whether you are traveling just for a few hours or days, there are things you will want to have in your vehicle when traveling with children. Bathroom Supplies – You never know when one of your kids (or yourself) will need to go to the bathroom. You could be on the road with no bathroom in site for miles. Make sure you have a few rolls of toilet paper, paper towel, wipes on hand in case you need to stop on the side of the road. These items also will work out well to clean the kiddos up after eating or if they get sick in the car. Travel Games – Having some compact travel games on hand that the kids can do themselves is key to a more peaceful ride. They are also easy to store in the pocket behind the seat so the kids can grab a game when they want to. Healthy Foods – Having foods on hand is a great way to save money and time while traveling. Pack a cooler with your favorite healthy snacks and drinks. You can even pack a lunchbox for each child with their food options, this will limit auguring among the siblings. Electronics – Nothing entertains children more than movies or a tablet where they can play games or read books. If you don’t have a built in DVD unit in your vehicle you can get a Dual DVD player for under $200 which work very well. You can also limit the time they are on these devices so they can time to do other things. Books – Purchase some books that the kids can read during the road trip. If you are heading to a new state or town that you have never been before try to find books that are age appropriate so they can learn more about their vacation spot. Safety Kits – You never know what mishaps will happen during a road tip, plus you want to stay safe when you get to our destination. This Travel-Tot Kit gives you all the necessary equipment for you to childproof hotel rooms or even grandma’s house. The kit includes; finger pinch guard, electrical outlet plug covers, foam corner guards, door knob cover, cord wind-up, sliding door lock, cabinet lock, multi-purpose straps, water thermometer, bandages, forehead thermometer, and “shhh, Travel-Tot sleeping” door hanger. 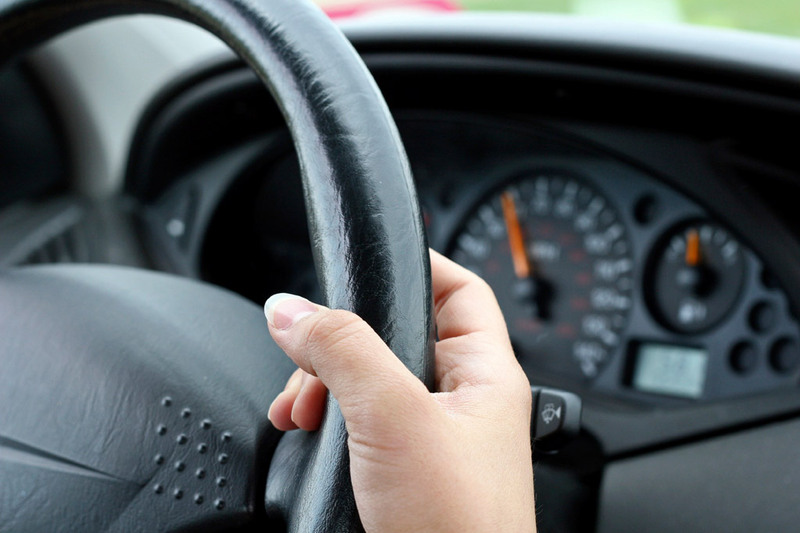 We hope these tips help make your road trips less stressful. What are some of your favorite road trip tips when traveling with kids? 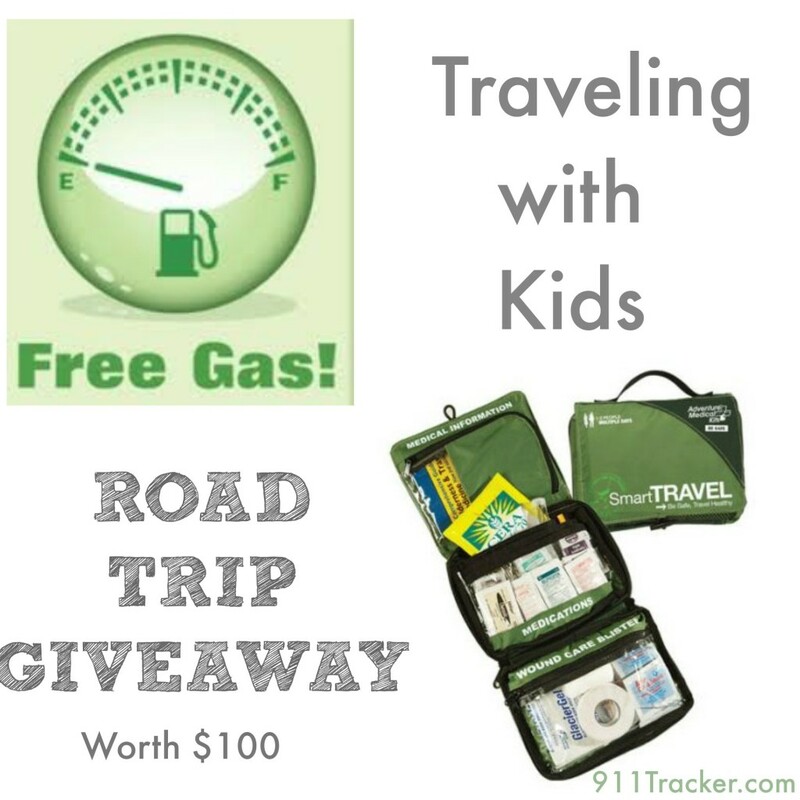 To make your road trip go even smoother we are giving away a $60 Gas Card and a Travel First Aid Kit. With these items you will save money while on the road and have peace of mind that you will be prepared on your road trip. This entry was posted in Car Tips, Giveaways, Safe Driving and tagged Car Accessories, Car Safety, Giveaways, Holiday Travel on May 5, 2014 by Deanna. With children off from school, parents tend to take a break from work to make the most of this 11 day end of the year holiday time. Over 90 million people will hop in the car and travel to see family, friends or head to a vacation destination this holiday season. When traveling we always need to take precautions but especially during the holiday season. The holidays are a time when people can become careless and vulnerable to theft and other crimes. These following tips can help you be more careful and more aware during the holidays. Holiday Travel Tips that will KEEP YOU SAFE! 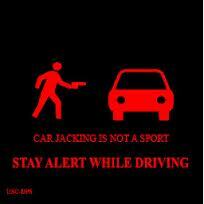 * Keep all car doors locked and windows closed while in or out of your car. Set your alarm or use an anti-theft device like the 911Tracker. * When stopping at night make sure you park in a well lighted area. * Never leave your car unoccupied with the motor running or with children inside. * Do not leave packages or valuables on the seat of your car. If you leave packages in your car make sure they are out of sight and in the trunk. * When walking to your car, make sure you have your keys in hand so you can quickly get into your car. * When approaching and leaving your vehicle be aware of your surroundings. * Check weather, road, and traffic conditions before take off. * Familiarize yourself with directions and maps before you go. * If traveling in snowy conditions, clean snow, ice, or dirt from windows, forward sensors, headlights, taillights, and the backup camera. 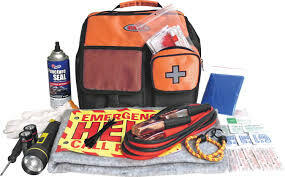 * Have an emergency road side kit in your car in case you break down. Your kit should include a shovel, broom, ice scraper, kitty litter (in case you get stuck), jumper cables, flashlight, and warning devices, blankets, water, food and necessary medicines. * Stay with your stopped or stalled car. * To avoid asphyxiation from carbon monoxide, don’t run your car for long periods of time with the window up or in an enclosed space; keep the exhaust pipe clear of snow and run the engine only long enough to stay warm. Please enjoy the holiday season and we hope these tips will help you stay safe while traveling. Just remember it’s better to overly prepared than not prepared enough. This entry was posted in Safe Driving and tagged Holiday Travel on December 23, 2013 by Deanna.